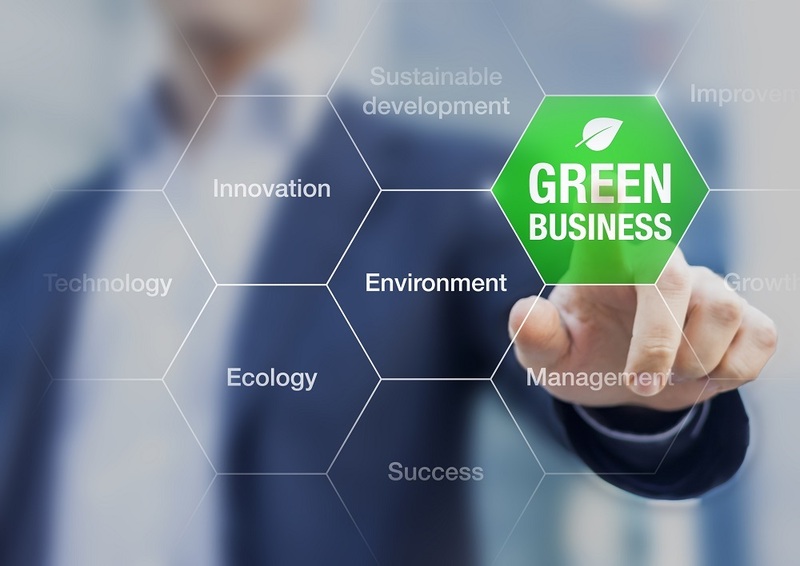 Eco-friendliness is on many people's minds these days, and one place where it's easy to make more environmentally friendly decisions is in the workplace. By changing up some simple daily habits and shifting routines, it's easy to help ensure your office taxes the environment as little as possible. Here are some simple steps you can take to go green at work. If you need to share documents between people at work, don't print a hard copy and pass it around. Instead, choose a cloud-based document management system, where everyone has access to the same documents from the convenience of their desktop computers. Do you have a kitchen or break room? If so, avoid disposable plastic or paper utensils and dishes in there. Instead, invest in a set of dishes that can be washed and reused. To keep the kitchen clean, designate the people who are in charge of cleaning it each week. Instead of buying regular printer paper, file folders and so on, shop for green supplies for your office. There are many companies that now make office supplies and paper out of recycled materials — and studies show that if you use them, you can make an impact. In fact, studies show that for every 20 cases of recycled paper you substitute for non-recycled, you can actually save 17 whole trees. You have to get your office cleaned regularly. So, instead of hiring a service that uses harsh chemicals that can have a negative effect on the environment, use one that focuses on healthy, sustainable green cleaning. Ensure that the cleaning chemicals they use are certified to contain no-Volatile Organic Chemicals (VOCs), and also that they are biodegradable. You should also prioritize selecting a service that uses sustainable products -- like recycled toilet paper and microfiber towels. By adding a janitorial service that has a green focus to your office, you can experience all the benefits of a neat, pristine and organized workspace without exposing yourself or your employees to any toxic chemicals, or making a negative impact on the Earth. Consider limiting power usage at the office in order to reduce your energy consumption. Make sure to turn the lights off when you're not using a room or space, and consider putting lights on a dimmer so you can adjust them according to the brightness outside. Limiting power usage also has an added bonus: It can lower your electricity bill!